The first Wi-Fi bus that I ever rode going to North Luzon is cool, you can order Jollibee Meal while the bus is in motion to the bus conductor and they will send a text message to the Jollibee Branch at Mabalacat Terminal Station but (now Chowking) they will serve it at the bus terminal when your bus arrives and it is a very convenient way to get over your hunger when your hungry. Not only that, they are also offering free WiFi connection if your gadget is a Wi-Fi Ready and all you need to do is ask the bus conductor for the password. This entry was posted in Travel & Leisure and tagged Dagupan, Pangasinan Malasiqui, Philippines, Quezon City, San Carlos Pangasinan, Tarlac City, Urdaneta Pangasinan, Wi-Fi. Bookmark the permalink. How much will be the fare from cubao to basista pangasinan? and wat tym would be the departure time. Thanks for possible quick reponse.coz im about to travel for tomorrow. How much is the fare to cubao going bayambang,is there a bus going basista pangasinan? how much fare from cubao terminal to alcala,pangasinan. ?route manila to san carlos? 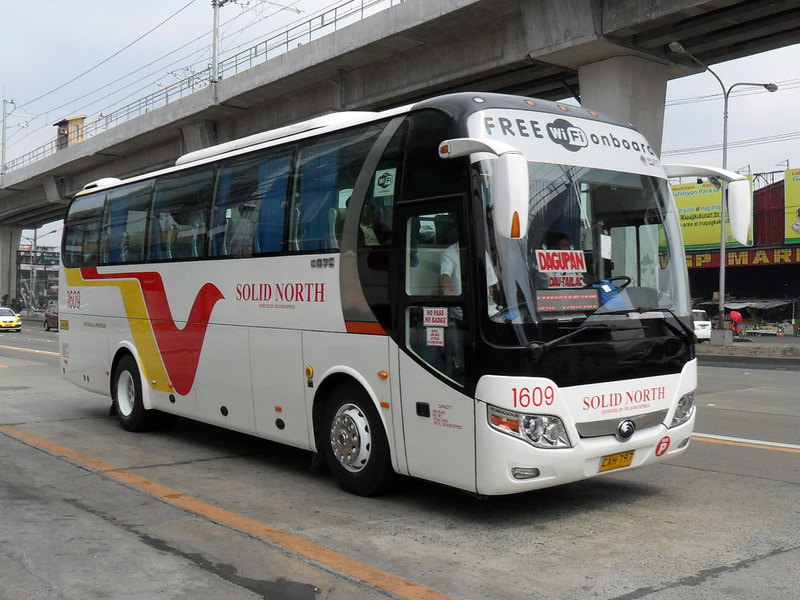 At first I thought that Solid North is the best bus to ride manila-dagupan. But now? I don’t think so. They can’t even handle a simple problem about my lost baggage. The management didn’t even bother to asked me if I agreed to the amount of payment that the conductor offered me or not. I’m so disappointed. The conductor made the decision by himself. I will never ride a bus of SOLID NORTH!!! I am so sorry to hear that but I hope that the action taken by the conductor does reflect what was the management of Solid North though I know that it is really hard to lost a baggage. I am sure you will get over it some day and you will ride the bus again. I feel yah Karen. Have a great day despite what happened. Hi I just want to ask if you don’t mind, was your concern regarding your loss baggage has been resolved? I just lost mine too.